If there's anything Claudia loved (besides Mallomars and Cracker Jacks), it was sneakers. At least in some of the books. I think later on in the series they stopped referencing her sneaker collection. The ghostwriters were more into Doc Martens, or something. 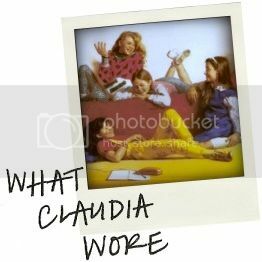 As an incredibly un-sporty kid (and equally un-sporty adult, unless marathoning American Horror Story: Coven counts as endurance training), I was always kind of perplexed at how Claudia could be so into the most offensive footwear of all. But even my clumsy, unathletic self has to admit that Claudia's 2013 sneaker game would be pretty on point. I wonder if she ever had a pair of BK Knights. You know you remember those.